These are the best gluten free lemon bars you will ever eat. 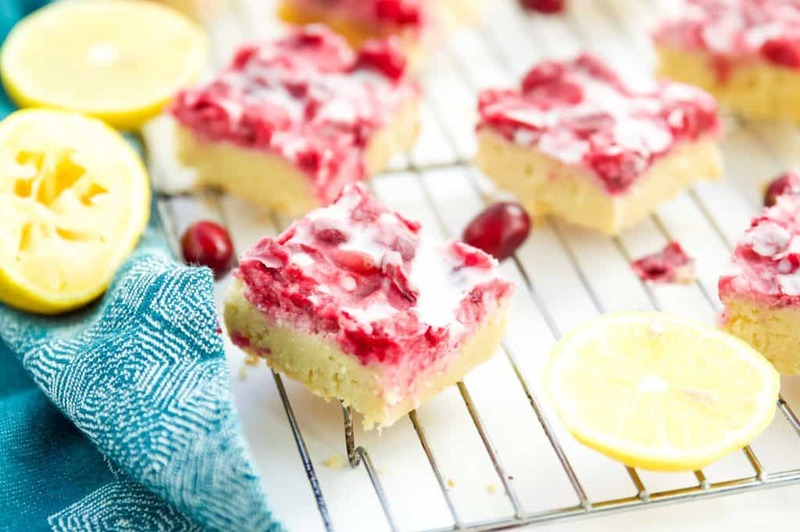 Grain free and dairy free these gluten free lemon bars with cranberry are also paleo. 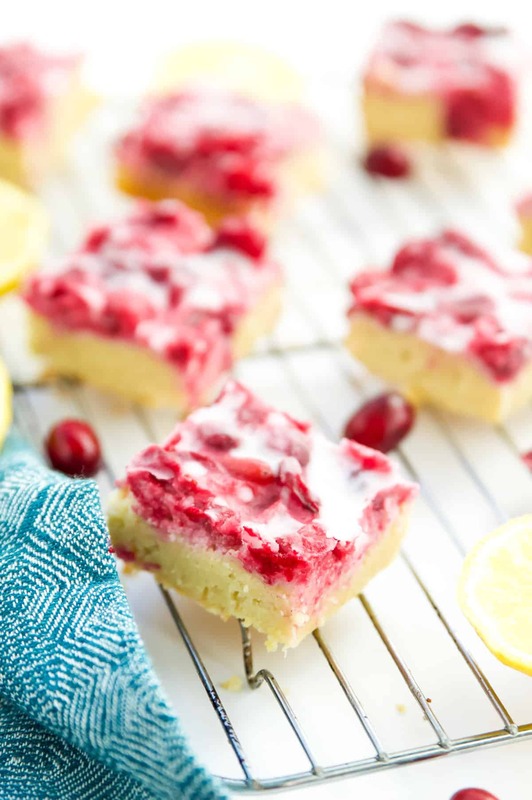 These lemon bars are easy to make and made extra special with the addition of cranberry. Growing up I never liked lemon desserts. I was all about chocolate desserts instead. I remember my mom loving all things lemon and just didn’t understand it. Well 20 years later and here we are, I’ve turned into a lemon dessert lover. I’d like to think that means my taste is just more refined now, but in reality I think it just means I’m getting old. But you know what? 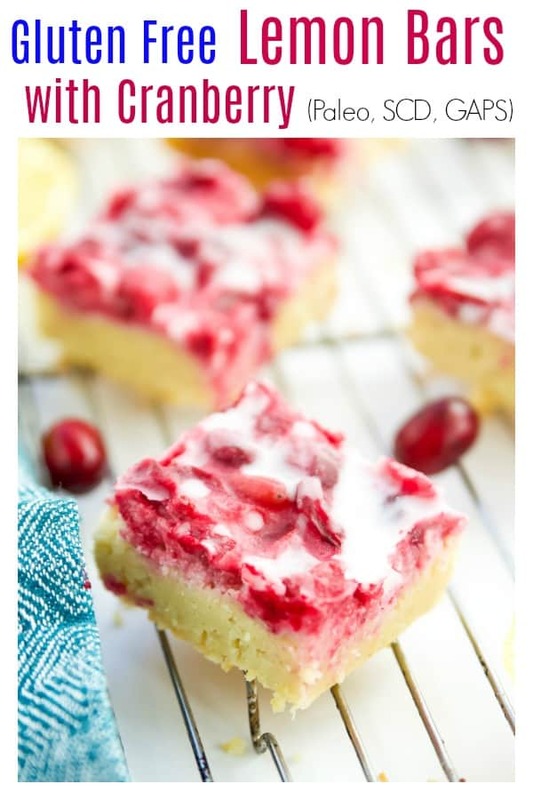 I’m totally alright with that if it means I get to enjoy these Gluten Free Lemon Bars with Cranberry. Because they are delicious. Really, really delicious. Like I bet you can’t eat just one delicious. I’ve actually been holding on to the recipe for these Gluten Free Lemon Bars with Cranberry for months. Not intentionally, but I’ve just been so busy I never had a chance to publish the recipe. I initially served these gluten free lemon bars at a Beautycounter event I held back in November and they were a huge hit. I’ve had people asking me for the recipe ever since. 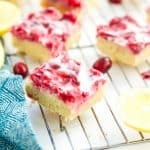 The sweet lemon layer pairs perfectly with the slightly tart cranberry layer to make these gluten free lemon bars one of the best desserts you will ever eat. I appreciate your patience, and I hope the wait for these Gluten Free Lemon Bars with Cranberry was worth it! The gluten free lemon crust is so, so delicious! Moist and crumbly all at the same time you would never know it’s grain free. They don’t contain any grains or dairy so these gluten free lemon bars are also paleo. The contrast of the sweet lemon crust with the slightly tart cranberries makes the perfect flavour combination. 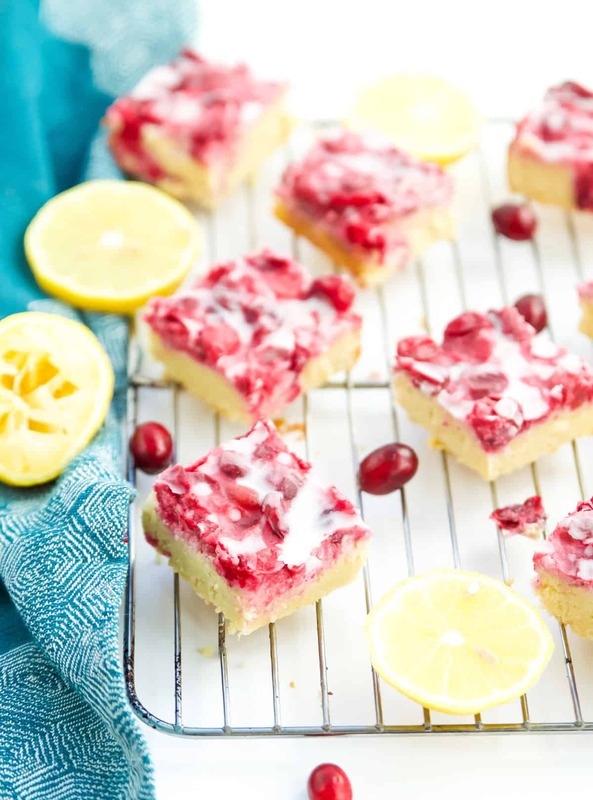 These gluten free lemon bars with cranberry are surprisingly easy to make. They are a healthy alternative to most other lemon bars that are filled with refined sugar and grains. They don’t contain any refined sugar and are sweetened only with honey. 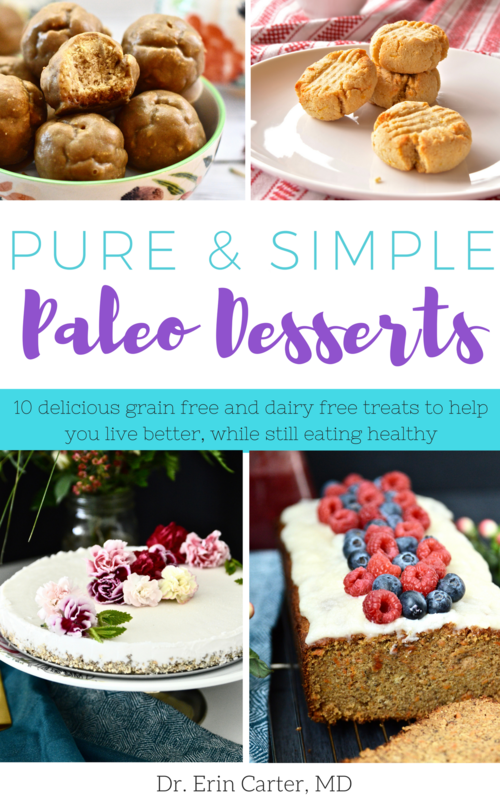 They are grain free and dairy free so besides being paleo, they are also much easier on your gut than lemon bars made with grains. They are filled with healthy fats from the coconut flour, coconut oil, coconut milk and coconut manna. You’re going to love how easy and quick these are to make. First you will preheat your oven to 350F. Next, add all the ingredients for the lemon crust into your standing mixer. Blend on low until the batter is smooth. Then transfer the ingredients to a greased 8″ x 8″ glass baking dish and spread the dough evenly with a knife or a spoon. Place the baking dish in the oven and bake for 17-20 minutes, or until a toothpick inserted inside comes out clean. While the lemon layer is baking, you can make the cranberry layer. To make the cranberry layer place a medium sized pot on the stove on low heat. Add the cranberries, coconut milk, coconut oil, honey and sea salt to the pot and bring the ingredients to a boil. Turn down the heat and allow the ingredients to simmer for ~15 minutes. When the lemon crust is done baking, pour the cranberry topping on top and spread evenly with a spoon or knife. Then place the dish in the fridge and allow the cranberry layer to set (takes about 60 minutes). You also have the option of adding a little coconut manna to the top of your bars (this is the white part that you see in the photos). If you would like to do that, melt 3 tablespoons of coconut manna in the microwave (heat on high for 20-30 seconds). Then simply drizzle the coconut manna on top of the cranberry layer when you remove the bars from the fridge. Next, cut the bars into desired sized pieces, then serve and enjoy! Do lemon bars need to be refrigerated? Yes I would suggest keeping these gluten free lemon bars in the fridge. I actually prefer them served cold rather than warm. Can you substitute almond flour for the coconut flour? No! Almond flour and coconut flour are not interchangeable. Can I substitute coconut flour for the almond flour? Again, definitely not! Can I omit the eggs? I have never tried this recipe without eggs so if you omit them or substitute them with chia eggs or gelatin eggs I cannot guarantee they will turn out. Is it OK to freeze lemon bars? Yes these gluten free lemon bars with cranberry freeze very well. 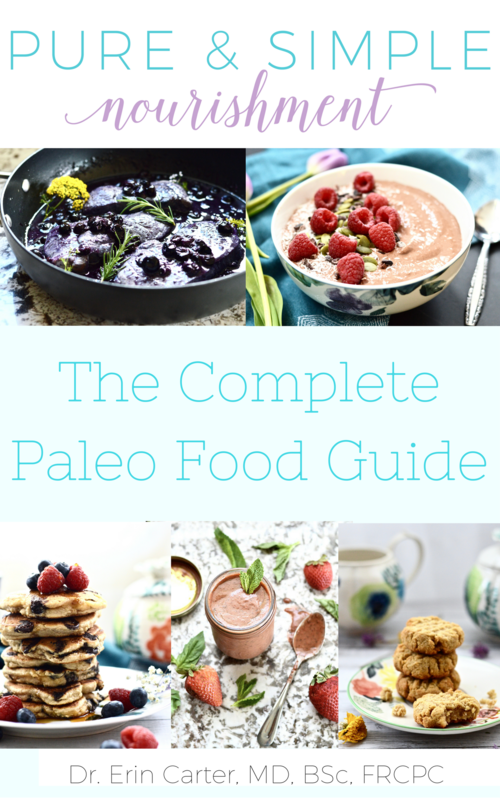 Never want to miss a new recipe or post? Make sure you sign up for the Pure and Simple Nourishment Newsletter. You will receive subscriber exclusive recipes, deals and freebies! Leave your email to be sent subscriber exclusive deals, recipes and other goodies. No spam ever. Promise! If you make these be sure to let me know or tag me on Instagram! I’ve also added the ranking option on my recipes so you can rate things if you love them! 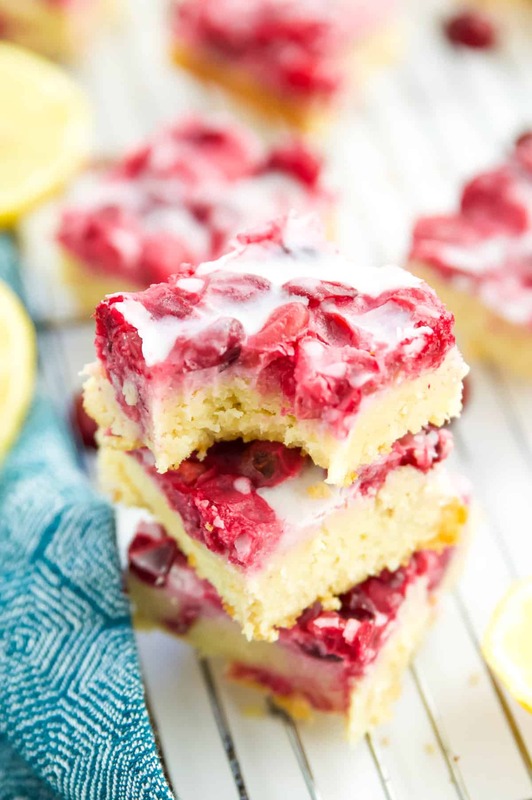 These are the best gluten free lemon bars with cranberry that you will ever make. Easy and quick these lemon bars are also paleo and refined sugar free. Note 1: Make sure to avoid all non-stick baking pans. Use glass instead. Note 2: Use raw, local honey if possible to maximize the health benefits. Note 3: If you don't have coconut manna, you can also use coconut butter or coconut cream concentrate (these are all the same things, but different brands use different names). DISCLAIMERS: The statements made on this website have not been approved by the Food and Drug Administration or Health Canada. The information is not intended to diagnose, treat, cure, or prevent disease. You assume full responsibility for how you use this information. Always consult with your physician or other health professionals before making any diet or lifestyle changes. 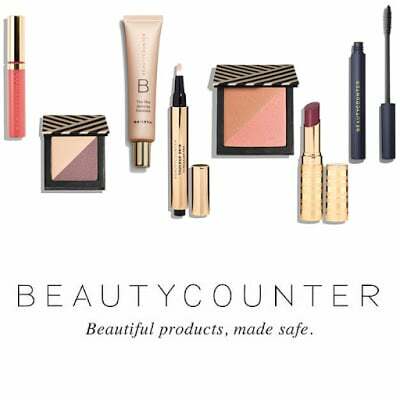 This post may contain affiliate links whereby if you purchase these products I receive a small percentage of the sale price. This allows me to keep the blog running and I thank you for allowing me to do that! Leave your email to receive weekly recipes, workouts, health information and more! All for FREE! And no spam ever. Promise. Join to gain access to FREE recipes, health information and money saving tips. 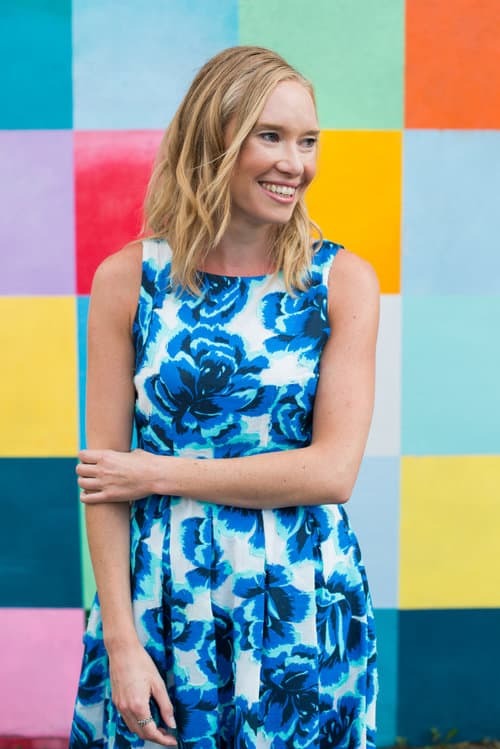 I am Dr. Erin Carter, an MD by day and health and wellness blogger by night. 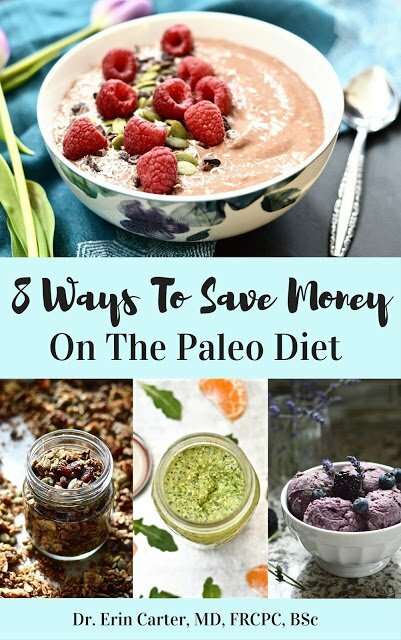 I create paleo and gluten free recipes as well as share health information and healthy living tips to help you live your best, healthiest life.